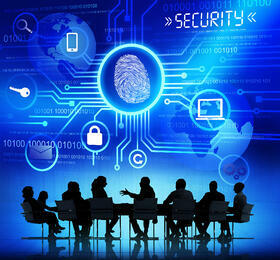 Sometimes your biggest network security threat is internal; it could be one of your own employees. Setting defined user rights and privileges within the network which are appropriate for each user role and job task can eliminate granting unnecessary privileges to team members who don’t need to use them. In short, make sure the workers who have been assigned administrator and high-level privileges have a legitimate business need for them, are trusted, and have been educated in proper network security protocols. Making sure your entire team is briefed on company-wide security procedures and best practices can help ensure they won’t fall victim to malware or phishing, which are two of the top security threats facing enterprises. Outline rules like only downloading from trusted sites, not sharing login credentials and avoiding clicking on unfamiliar email links. Any technique an enterprise uses to avoid phishing scams and outside security breaches will help avoid getting a ransomware infection in the network. However, there is no way to guarantee that an enterprise can avoid infection. Therefore, in addition to prevention, every organization needs to consider how to contain a ransomware breach with network segmentation, clean backups and other strategies once the attacker penetrates first-line defenses. In the event of a security breach, an enterprise can secure a segment simply by preventing all communication and physical access, which in part includes emails, websites, file sharing, cloud services and any external devices such as storage or mobile devices that have both external access and access to the network. Enterprise network security requires a comprehensive strategy because it touches all network connections and all users across the enterprise. We recommend revisiting your strategy at the very least once per year, and a network security assessment is a great place to start. Learn about our Security Assessment which helps identify potential vulnerabilities and opportunities for improving your security posture. Sign up for a free Security and Threat Prevention Assessment with WEI today.